Mycena Cave - Forums - Announcements - [OPEN BETA] Adventuring - Information and Discussion - Feathers Distributed! The official open beta is over and we are currently doing an analysis on the feedback that was submitted! We’re keeping the Adventure System open while we do this, and players are free to give informal feedback and continue discussing the Adventure System while we figure out what sort of changes we’re going to be making. An Adventure is an interactive storytelling experience. When players build an Adventure, they are creating a setting for players to explore with their characters. In their most basic forms, Adventures interject occasional writing prompts to guide characters through a setting or story. They can be mechanically very simple or complex, but at their heart, they should focus on giving characters the freedom to interact with the setting and discover more about themselves. The Adventuring interface and its resources have been in development for a year. We started with the alpha test, Quest for the Icy Soul, and then moved to a Closed Beta where a lot of major mechanical and interface changes occurred. We are now ready to launch the Open Beta! How do players create Adventures? Players create Adventures for others using the Adventure System interface. The Adventure System interface is designed to be a flexible system that allows everything from Adventures with minimal and simple mechanics to Adventures with extremely complex and unique mechanics. In its final form, it is meant to be easily understood by any player who wishes to create a setting for characters to explore. Now that we have the mechanics and interface mostly sorted out, we need to figure out the best ways for players to learn how to use the interface as a storytelling tool. We’re doing this by trialing a structured introduction to the Adventure System interface and requesting feedback about points of confusion and ways to make the interface, instructions, layout, etc. easier to understand. The Open Beta runs from February 10th until March 10th 23:59 March 24th 23:59 (date updated on 3/7/2019). We are offering some items and nuggets as a way of thanking you for taking the time to learn the Adventuring interface, and for giving us feedback as you work through the Adventure System. Completing and submitting each of the subcomponents detailed below earns players Windblown Feathers. Windblown Feathers can be exchanged for nuggets or Open Beta-specific items. 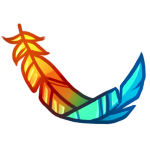 Submission checking and feedback compilation will be a manual and time-intensive process and too chaotic to process during the beta, so feathers will be handed out after the beta ends on March 10th 24th. We will likely need up to a week to get everything processed, but everyone should have their feathers by the end of March 17th 31st. There are four components to the main part of the Open Beta. You will notice that feedback is a frequent and repeated request: this is because feedback is critical to the beta process and the more feedback we get, the better the end product can become. A total of 90 Windblown Feathers are available from testing components I through IV. If all the Feathers earned from the 90 points are spent on the beta items, it is possible to obtain a full set of the items plus one extra (6 items total). Up to 60 additional Windblown Feathers (4 items) can be earned by doing extra testing. You can read more about the additional testing in the Extra Testing Opportunities thread. Can testers play around with the Adventure System in ways not covered by the structured components? Yes, we would love you to poke away at it! You’re welcome to make full Adventures, make small Adventure tests to figure out novel uses for our mechanics, and go bug-hunting. Will the Adventures we create during the beta be wiped? We do not plan on wiping Adventures created during the Open Beta. We may, however, end up making coding changes that break some mechanics that Adventures use, and thus we may need to unpublish or lock Adventures that were published during the beta so that their Builders have time to fix them. We hope that Builders will be able to bring them back up-to-date and republish them without too much trouble! Is the beta test an official site event? We’ve done a lot preparation for the Open Beta in order to encourage participation: we made it highly structured with achievable goals and are offering thank you items for participating. This has been done because we would like as many players as possible to learn how to use the interface and to give us feedback, as we believe this will result in a more solid and engaging end product. However, this is not an official site event, as the focus is not currently on making a super smooth and fun player experience. Instead, the emphasis is on experimenting with a new system in a way we have never attempted before, to help guide it into something that will be as fun and engaging for all players as possible. We expect things to be rough around the edges, likely with bugs cropping up and some confusion and perhaps frustration along the way. We’ll do our best to tackle bugs and questions as they come up, and appreciate your patience as this will likely keep us very busy! No, there is not, though players are free to take a look and play around with the system without publishing their Adventures (and thus keeping them private) outside the open beta structured activities. By publishing Adventures during the open beta, you’re creating Adventures that will potentially be played and reviewed by other Testers. Keep in mind that all tester feedback is aimed at providing Mycena Cave with overall trends and areas of confusion and is not meant to be a critique of individual Tester’s Adventures. Any questions or discussions relating to the open beta may go in this thread! Bug reports and technical or Adventure questions requiring in-depth help should go in the Adventure Help forum. There’s no official signup for this! All you need to do is read/post the appropriate forms in the information threads (gathered here) and jump on in! Should I provide the trial run link or the builder interface? This is so much to chew on but I’ve got a fork and knife. xD I’m really excited to see wot people create! Sorry if this is answered in the tutorial (haven’t had time to look at anything yet) but are all adventures you create open for all members to use? Ie. Is there a public or private option? I understand the threads work with specifically invited users - trying to figure out the adventures themselves. I’m not interested in other people I don’t invite using my scenarios so I’d like to check before investing time into this system. Oxton all published adventures are available for any player to embark on from the Select Adventure interface. You can “lock” a published adventure to remove it from the list of available adventures if you like, but there is no functionality to publish adventures such that they are only visible to selected players. Edit: actually there sort of is a way, though it has a few caveats. You can choose not to publish your adventure, but share the “Test Adventure” link (from the Tools menu) with the people you want to share the adventure with. This tool’s intended purpose is for you to test your own adventure while building it, but there’s nothing stopping you from giving that power to other people. That said, that’s using the feature in a way it isn’t intended, so there are a few caveats: Test Adventure threads are posted in the Test Adventure forum, are not visible to players who aren’t involved, don’t earn nuggets, and have all participants’ stats initialized to 10 instead of using the point-buy system. Also, by virtue of being a Test Adventure, any changes you make to the adventure take effect immediately, so it won’t be able to take advantage of the Publish Model (though that may not be important to you). Thank you for the concise answer! (Also I just realised I sounded slightly blunt when asking - that’s what I get for making that post tired in the early hours of the morning haha, apologies for that). I’ll have a play around with those options and see what works out for me, though I’ll definitely try to at least help out during the testing phase if I manage to find the time! Question: Will we be able to access adventures we’ve made in the beta when the full release is made, or should we start copy and pasting stuff we want so that we don’t lose it? No problem! There is definitely a tooon of stuff to absorb for the beta! 1. Is there a way (or is there going to be a way) for people to delete their own adventures? 2. Are #comments okay inline? I’m not quite at the point in the tutorials where I’m creating my own code, but I’m a very commenty sort of person (VERY commenty). Even if we’re not given the option to delete our own adventures and threads, it would be awesome if we had a way to hide/mask or otherwise keep the junk posts off our stats and history. The page that lists the adventures you’ve made still needs a lot of work: differentiating between adventures that have been published and those that haven’t, those that have been updated recently, and yes, being able to remove adventures from the list. JSON does not support inline comments, so your actions lists (which are just JSON lists) don’t either. We experimented with having a “comments” field on every command page where you can just type notes to yourself, but after some experimentation we found that no matter how we laid it out, it added significantly to the visual complexity of the editor — something it already struggles with — and didn’t add significant benefit: for the more complex adventures that would benefit from these notes, you probably have a design document or a spreadsheet for keeping track of things which would do a much better job of it anyway. We’re continuing to experiment with how best to solve this. You raise an interesting point regarding “junk posts” in the recent posts / post history. We’ll give that some more thought. Also, I realized I can keep notes/design docs on site in a private echo, which works excellently for me, though it does have the disadvantage of not being editable. One of the big benefits of keeping things on Mycena that shouldn’t be unerrated is vs an external doc is the ability to test the bbcode, though! I have a question about the Extra testing opportunities: can we do the Extra Testing even if we don’t complete all of the 4 Testing main components? Okay thank you! Yeah I found working with the code rather difficult, so I’d like to focus more on RP testing c: But I’ll be reading through the other components as well, and see how much I can do before the end of the beta testing. I’d like to request an extension on the extra testing opportunity section, if possible. I will be able to complete the main four sections by the 10th, but noticed I severely underestimated the time it would take. After reading submissions and other feedback forms, I’m inferring that a lot of people took a large amount of time to access this feature and might feel similarly. I understand you need data and feedback to work on it more ASAP, but I think there is plenty to process in the main sections and still allow us to play around with the miscellaneous content without messing up the flow too much? I just know I would have to sink the rest of my free time the next couple days to be satisfied with extra beta testing opportunities, and might not be able to give the quality assessment that could help. Lycan I’ll discuss the possibility of an extension with glitch tonight and let everyone know once we’ve decided. I’ll hopefully post an update on this either late tonight or by tomorrow afternoon at the latest! If we do decide on an extension, it’ll likely be an extension for the whole beta. I’d personally be very excited about the possibility of an extension of the beta. I also underestimated the amount of time a lot of the tutorials would take, and the beta landed during an unfortunate time for me where I burned out to the point at which I can barely think of anything creative. If the beta were extended even by just one week, that’d mean I’d have a better chance of being able to cook up some good solid adventure stories before it closed up o/ (especially since my spring break starts in eight days haha) However, I also understand that it might be better for more players to get the official adventuring system underway asap, so I’d be alright either way. Yeah, I can’t argue, I got hit hard by sickness and the time of year being what it is myself. I can see shutting down the basic component section, but a bit more time to do extra testing would be really helpful, I was surprised at the amount of time some things took myself! Either way, the systems quite interesting, for sure! I know there are four components to the main part of the Open Beta, but do we have to do all four in order? Or can we do part 1 and part 4? For me I know I wont have time to do all 4 due to my real life situation at the moment. However I can do part 1 and part 4. Its easier and enjoyable for me to test out other peoples adventures. But I didnt want to dive too much into it if it wont count since I am not doing part 2 and 3. An extension would be great! I actually just rushed to finish my Part 4 tonight so I could get it done in time and provide some feedback before the end of the beta. I’d love to get some time to test out some other adventures and come up with more sophisticated feedback by getting a variety of different types in.